The UK is rich in heritage with a wealth of historic and listed buildings across every region. 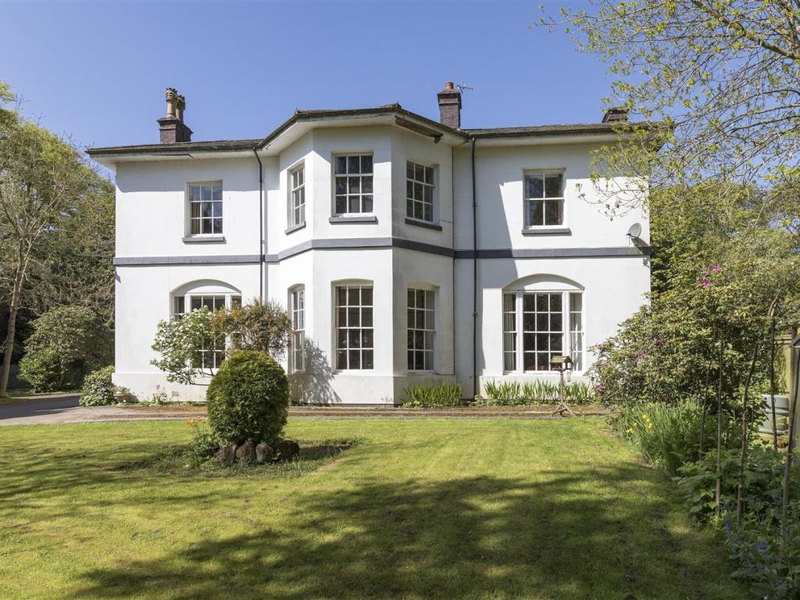 It’s estimated that there are over half a million listed buildings in England alone with many more in Wales, Scotland and Northern Ireland, all of which have their own classification systems for listing. These listed buildings along with the many millions of older buildings with no listing status were constructed in the style of vernacular architecture, meaning that they were built using locally sourced construction materials and traditional techniques. So how do we care for and maintain these older buildings in modern times whilst staying true to their heritage? And how do we make them fit for the 21st century, achieving optimum energy efficiency and healthy living whilst preserving their integrity and freedom from structural damage? Retrofitting traditional buildings is a growing trend in the UK as a shortage of houses is encouraging potential homeowners to look for alternative solutions. There is an abundance of older properties in need of renovation and a bit of TLC. Upgrading these traditional and historic buildings can prove both a challenging and rewarding experience. The renovation process is complex and a sympathetic renovation that uses appropriate materials and techniques can prove costly. The skill base and knowledge required to achieve a quality renovation and refurbishment is dwindling. Specialist heritage building contractors with knowledge of traditional materials and building techniques are in high demand and they can charge a premium for their work. The specialist skill of traditional lime plastering is one such example. Lime plaster is the traditional finish for buildings pre-1919 but was gradually replaced throughout the 20th century with quicker setting gypsum and cement-based plasters, now widespread throughout the UK. However, lime plaster has had somewhat of a renaissance recently with its surging popularity not solely down to its pleasing aesthetic (many would argue lime plaster is a more attractive finish for older properties), but also for its greater flexibility and its material function in regulating moisture and maintaining ‘breathability’, otherwise known as vapour permeability. This ‘free movement of water vapour’ through its surface is of vital importance as it is how our older buildings were designed to manage moisture to prevent damage to the building fabric through damp, rot and mould growth. Whilst traditional lime plaster is proving increasingly popular, it is still prohibitively expensive for many smaller renovation projects. Lime plaster demands a long and protracted application and curing process that frequently requires multiple visits by a specialist lime plasterer to apply, tend to and complete the plastering to a high standard of finish. This need no longer be the case. Recognising a growing demand for lime plaster alongside a shortage of specialist trades and expert installers, Adaptavate set out to develop a modern, high performance, breathable lime plaster that was simple to use, easy to apply and fast setting. The result is Breathaplasta. Breathaplasta is a high-quality, ultra-breathable lime plaster that naturally regulates moisture, prevents condensation and mould and thermally insulates your walls. Breathaplasta is quick and easy to install and can be used by any good plasterer, regardless of their experience or knowledge of lime. The product eliminates the high costs once associated with lime plaster by opening the market up to non-specialists and minimising the labour required to complete a project. In fact, Breathaplasta can be applied in multiple coats and finished to a high standard by any good plasterer in only a single day. Better still, Breathaplasta functions as a high-performance skin to the building by raising the surface temperature of internal walls to naturally insulate and retain warmth. Breathaplasta creates a warm and inviting living space whilst lowering energy bills. 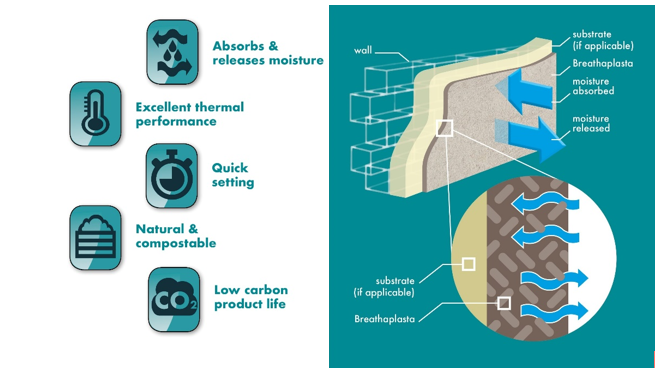 Breathaplasta improves thermal performance by raising the surface temperature of walls. This also reduces the chance of condensation and mould forming and creates a healthier living space. How has Breathaplasta been used on conservation and heritage projects? Breathaplasta has been used on many renovation and restoration projects on heritage buildings with specifiers recognising the importance of its ultra-breathable formulation, its ability to regulate moisture and prevent condensation and mould and for its quick and easy installations. Below are comments from two of our installers. 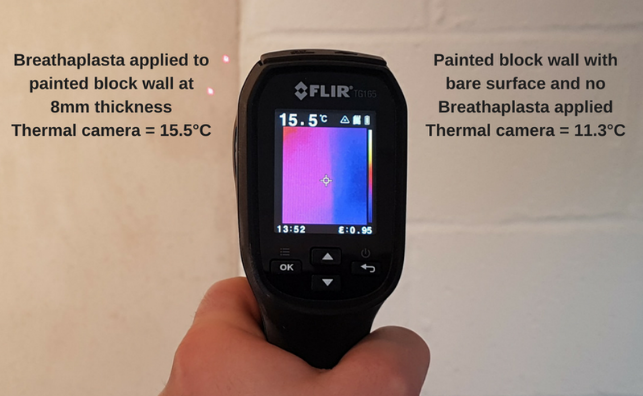 “We wanted to increase the surface temperature of the walls in our client’s grade II listed property. The building has long-standing damp related issues from historic use of inappropriate materials. Ultra-breathable and insulating, Breathaplasta’s hygrothermal qualities enabled us to achieve a warmer wall surface to better manage condensation and prevent the reappearance of cold spots. Breathaplasta helped us to realise a healthier and more comfortable home for our client”. “Our client wanted a lime plaster finish throughout her cottage to retain the character and aesthetic of a building that’s nearly 300 years old. Breathaplasta allowed us to lime plaster entire rooms in just a single day, instead of the usual 2-3 days for other lime products. We were able to pass this saving on to our client and she was very happy with both the finish and the extra cost saving”. If you have a heritage property and would like to find out more about using Breathaplasta or would like a sample, please get in touch. We are also looking to extend our network of trusted installers across the UK.